The Disney and Fox deal is expected to be complete by the end of summer 2019. This news comes from 21st Century Fox President Peter Rice, who held a town hall meeting in order to update on the status of the purchase. The meeting was held in order to calm jittery Fox Network Group staff members, who are concerned about issues relating to Disney's purchase of the majority of 21st Century Fox's assets. Jittery as they may be, the deal is in the process of being worked out and, once approved, Disney will be arguably the most powerful entertainment brand to have ever existed. 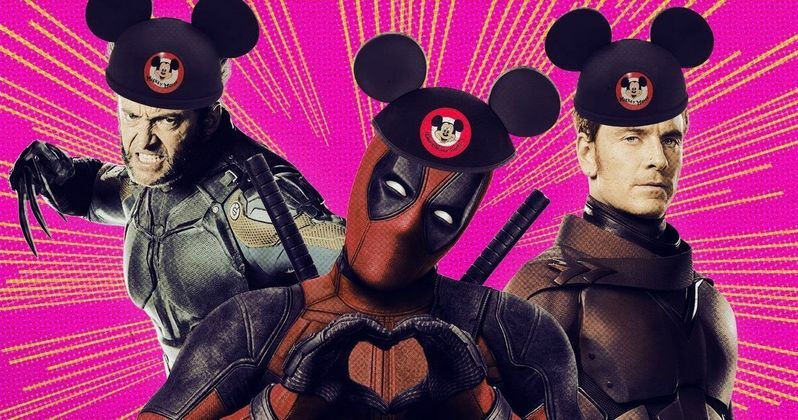 Disney announced the purchase of many of Fox's assets last December, including all of 20th Century Fox, meaning that the Mouse House will be in control of a ton of additional, major franchises. Most notably, they will regain all of the lingering Marvel character rights, with Fox holding the Fantastic Four, X-Men and Deadpool rights currently. Deals like this take a great deal of time to be approved by regulators. But assuming the deal does close by summer of next year, that will be close to original estimates that put the total time frame at 18 months. That may still sound like a long time, but 18 months is relatively fast for the regulatory process on a deal of this size. The deal was said to be worth $52 billion when the announcement was first made. Fox will still exist once the deal is done, but it will just be a new version of what we knew previously. The company's remaining assets following the merger include Fox Broadcasting Company, sports networks FS1 and FS2, Fox News Channel and the Fox stations. These assets will form a new company, which Rupert Murdoch previously referred as "New Fox". During the town hall, Peter Rice jokingly called the post-merger company "Diet Fox," which was in response to a comparison someone had made between New Fox and New Coke, which was a famous failure. Whatever Fox ends up being, it will be dwarfed by the powerhouse that Disney is set to become. Disney is already by far the most dominant force at the box office, controlling Star Wars, Marvel and their impressive stable of original properties, which they've recently been turning into successful live-action features. When this deal is finally approved next year, they will have plenty more franchises and a much bigger library of options for their forthcoming streaming service, which is also expected to launch next year. There are many who are excited about the prospect of Disney controlling the X-Men and Fantastic Four, but there are many who are concerned as well. This is one of the biggest consolidations of power ever in the entertainment industry and Fox, the studio responsible for Avatar, Alien and the Planet of the Apes franchise, among many others, will be part of a much bigger machine. As with all things in life, the good must be taken with the bad, it's just on a grand scale in this particular case. For now, until the deal is officially approved, Fox is operating as usual and developing future projects. This news comes to us courtesy of Deadline.